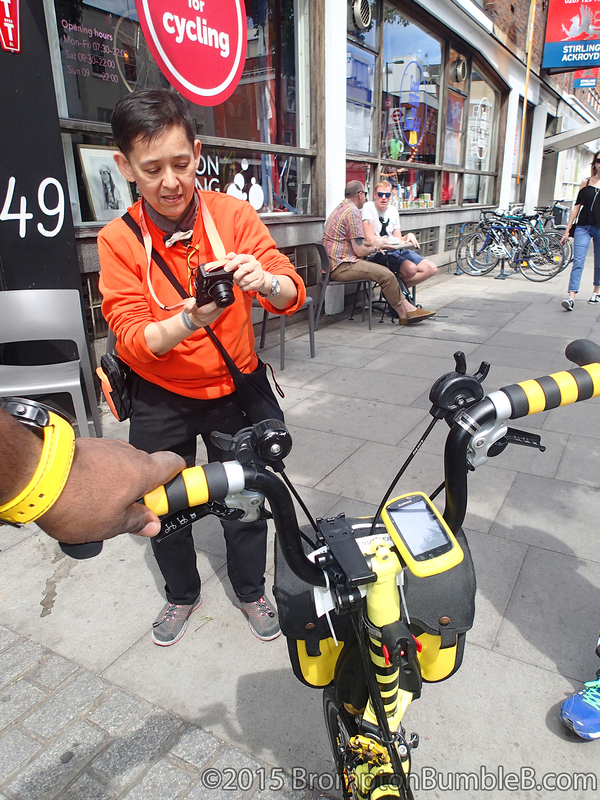 While we was at the Brompton World Championships we was approached by Kris HM Gomeze who is the owner & publisher of Bicycles United Magazine & Steven Lim from MightyVelo in Singapore. They said to me that they have always enjoyed reading this blog and Kris wanted to interview me for her online magazine. The legend & I was very touched by this couldn't for the life of us think why would anyone want an interview. 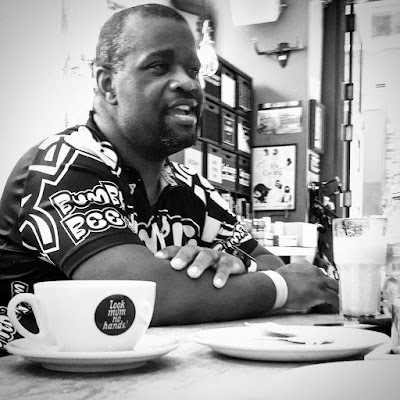 After talking for a few minutes I realised that the legend & I have a pretty big following in the far east & many read this little crazy blog of mine. 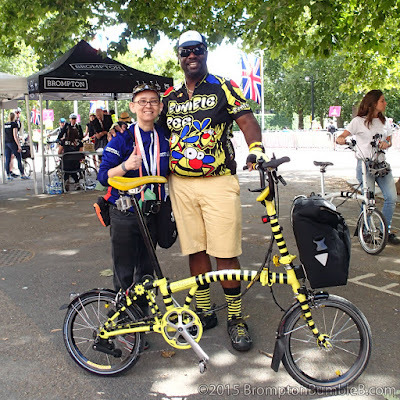 So we arranged to meet the following day as it was pretty crazy at the Brompton World Championships. After what seemed like a few minutes which was actually a couple of hrs (time flies when your having fun eh) BBB got some attention as always. 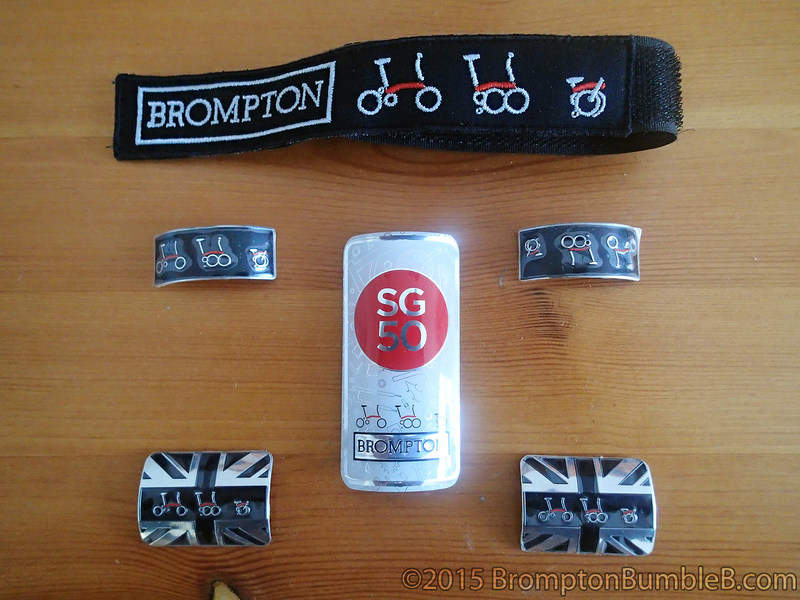 Just before we left, Steven gave me a nice little surprise of these great Brompton Badges, carry strap & a special bike badge celebrating Singapore's 50th year of independence. 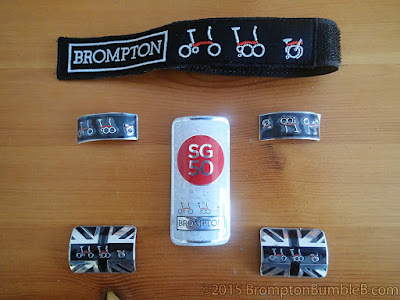 They will have pride of place on the legend soon. Like I've always said we love meeting new people and have met alot of people from all over the world from all walks of life doing the one thing we all love doing. 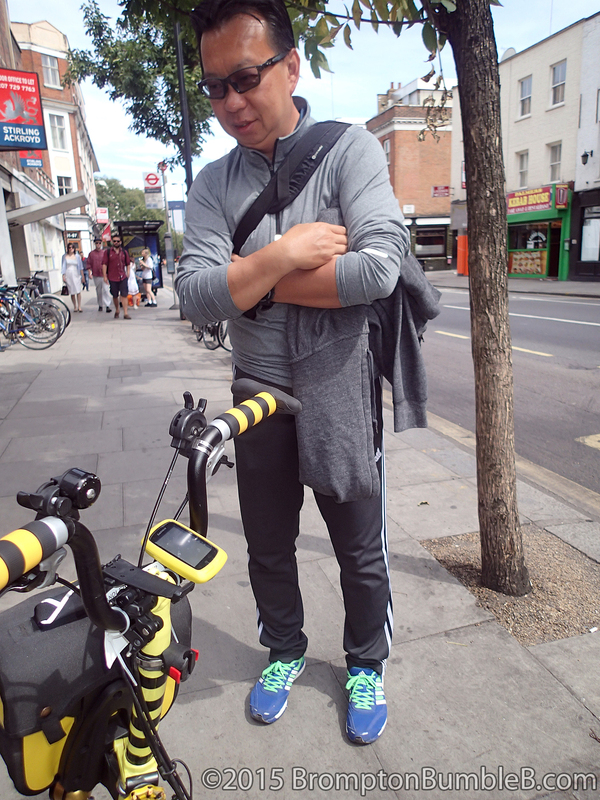 Riding our little Brompton Bicycles. 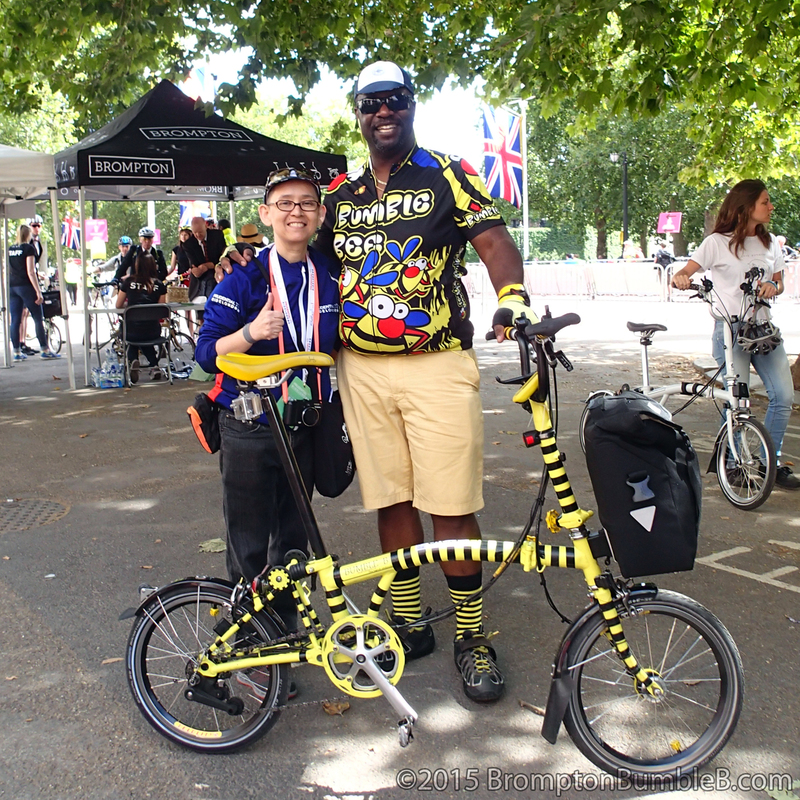 I don't think Andrew Ritchie had any idea what he started back in the 70's but I'm sure am glad he did as I wouldn't be having so much fun on this crazy small wheeled bicycle & making so many new friends. Thank you Kris HM Gomeze & Steven Lim for a great afternoon. 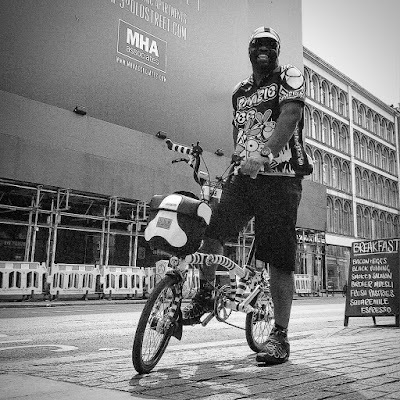 We hope to get to see you again & maybe a little ride. Not sure which issue the interview will be published in but as soon as we know we will post the link but lots of other issues in Kris's online magazine Bicycles United Magazine to read in the meantime.